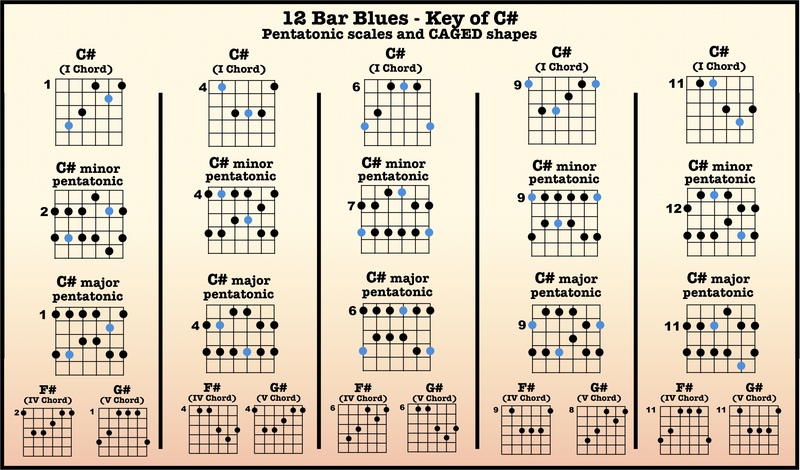 Play the blues until you’re blue in the face. 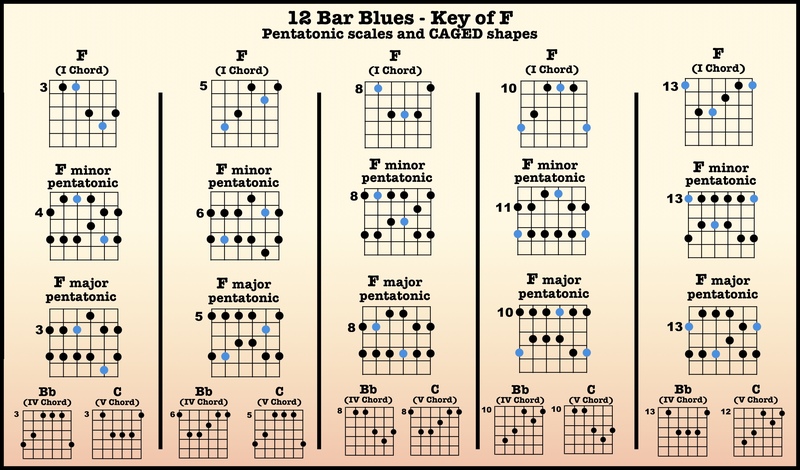 This page has two different 12-bar blues tracks for each key, one with a funk groove and one with a shuffle feel (one of these days I’ll also add a slow 12/8 track to this series…). As for the diagrams, there are so many different ways to handle a blues that I decided it was best to keep the diagrams simple. Each column shows a CAGED shape for the I chord, along with the major and minor pentatonics and the CAGED shapes for the IV and V chords, all in that same position. 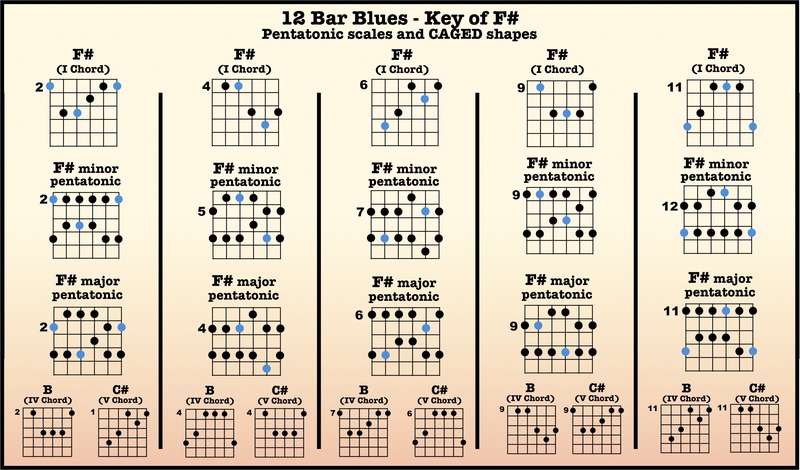 That should be enough to get you situated, anyway. 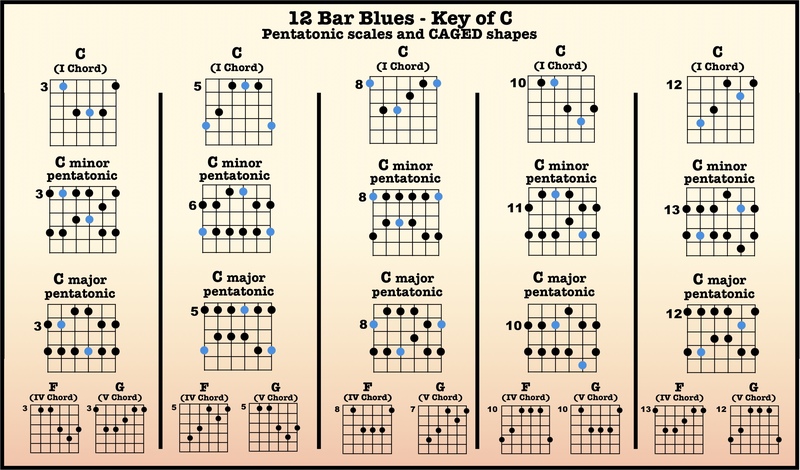 If you’re unsure what I’m talking about above ^^^ then perhaps you might benefit from the HCG Blues Primer. 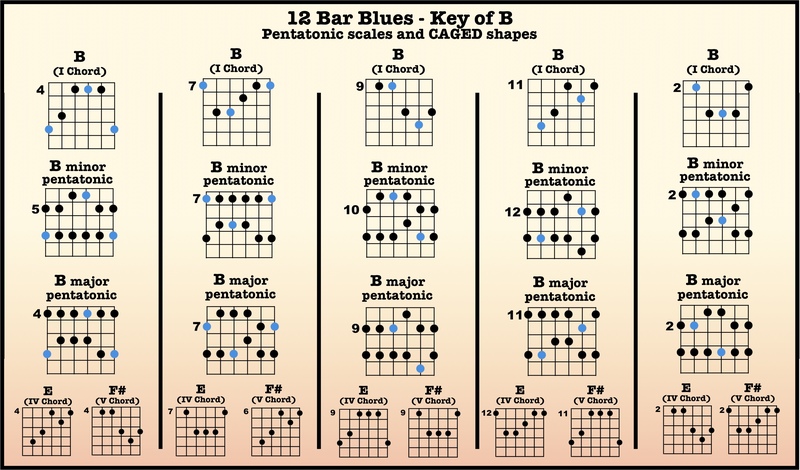 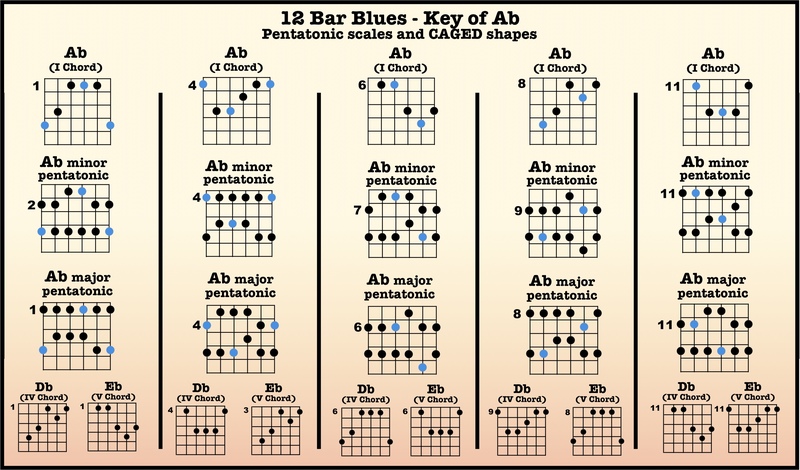 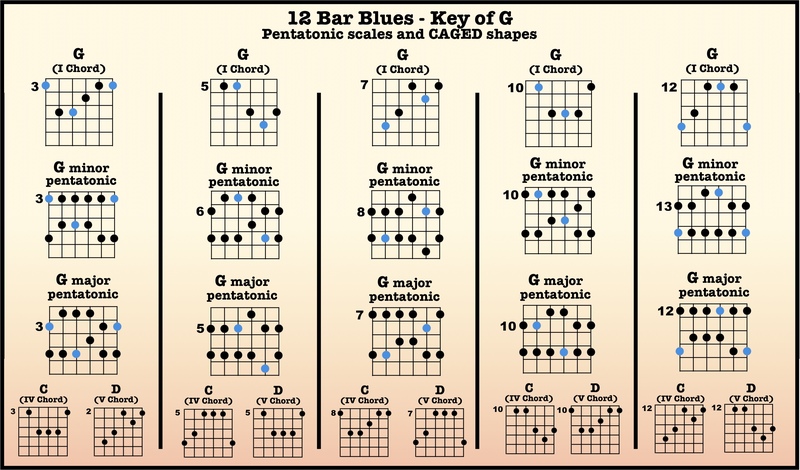 This video on Targeting 3rds in a 12 Bar Blues might also give you some food for thought.